Weehawken, New Jersey, is a great place to go if you want to open a business. After all, with its major commercial thoroughfare, Park Avenue — home to some great local businesses and eateries — you certainly have a great economic epicenter to help develop the most successful business possible! Of course, location is only half the battle when it comes to establishing a successful business. The other half of the battle is the storefront itself: You’ll want it to be beautiful so that it can attract and maintain a consistent customer base. And a great way to do that is to get Weehawken marble tile installed! 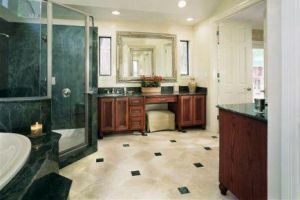 Sturdy and beautiful, marble tile can add value to your business while making it draw in customers like flies to honey! If you are in the market for quality marble products for your business, then you need to call on Weehawken’s marble experts at Kennedy Tile & Marble Inc.! Marble Tile In Weehawken, Nj. Why should you choose marble for your business’s tile needs? Well, that’s easy: because marble is a beautiful product, meaning it will help make your business POP to customers! More than just beautiful, marble is also durable and long-lasting, meaning you’ll be able to enjoy its aesthetic draws for years to come. To enjoy the most of the many benefits that marble can offer, you need to get high-quality marble for your tile projects. And to get the highest-quality marble, call on the tile and marble vendors at Kennedy Tile & Marble Inc. We offer top-shelf products at prices that won’t put you out of business! Custom Stone Fabrication In Weehawken, Nj. Now, after picking out your high-quality marble product, you have another step to make: getting that marble cut to fit your needs. After all, marble does not naturally grow in a way that’s suited for use as flooring, countertops, or tile. To MAKE it suited for that purpose, you need to call on a professional for stone fabrication. And we at Kennedy Tile & Marble Inc. offers custom stone fabrication services at a great price! Don’t settle for slapdash work when it comes to getting your marble cut — get top-quality work by the precise stone cutters at Kennedy Tile & Marble Inc.!